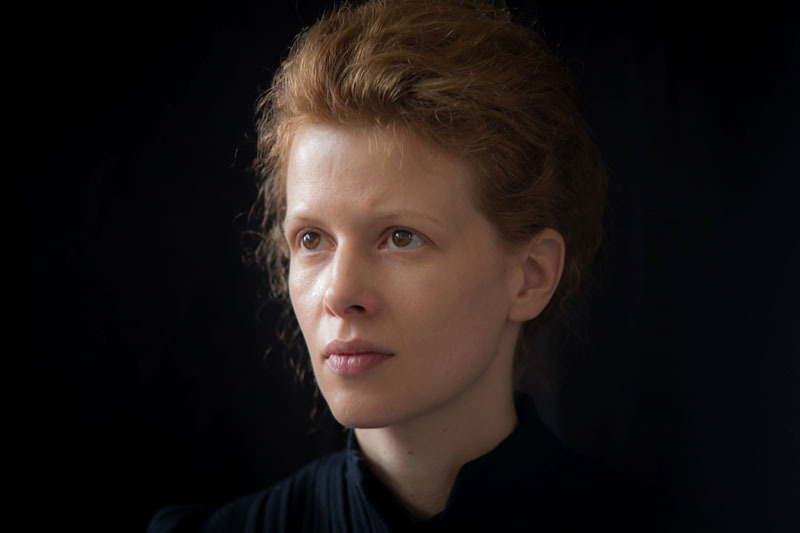 Marie Curie: The Courage of Knowledge starring Karolina Gruszka, Andrzej Wajda’s Afterimage, about Polish painter Władysław Strzemiński, and three other Polish productions and co-productions will be screened at the 41st Toronto International Film Festival, one of world’s most important annual film events. Marie Curie: The Courage of Knowledge, a drama about the life of the famous double Nobel Prize winner, with Karolina Gruszka in the leading role, will be screened on 9th September 2016, announced its distributor Kino Świat, which plans to release the film in Poland in February 2017. Marie Curie: The Courage of Knowledge is a Polish-German-French-Belgian production directed by French filmmaker Marie Noelle. The cast features Polish actors, such as Karolina Gruszka in the leading role, Daniel Olbrychski as Skłodowska-Curie’s tough opponent Emile Amagat, and Izabela Kuna as her sister Bronisława Skłodowska, as well as actors from France (Andre Wilms and Charles Berling), and Germany (Sabin Tambrea and Samuel Finzi). It is not only a faithful story of the scientist’s extraordinary life. (…) It is first and foremost a portrait of an outstanding woman who, using her intelligence, knowledge and exceptional skills, managed to win recognition in the world of science, which had always been dominated by men. The film was shot from May to July 2015 in Paris, Brussels, Munich, Łódź, Kraków, and Łeba with Michał Englert responsible for the cinematography. The film can be considered a costume drama, and its actors wear clothes designed by Cristobal Pidre and Florence Scholtes from Belgium with make-up by Waldemar Pokromski and Mira Wojtczak. It will be a story about her ups and downs, moments of triumph and failure, not simply in the field of science, but also in her private family life. It is through this prism that we want to show a hitherto unknown image of our heroine. Marlena Wilcan from Akson Studio has announced that the Toronto International Film Festival, one of the most important annual film events, will feature Andrzej Wajda’s Afterimage, a film about Władysław Strzemiński. It will be showcased in the ‘Masters’ section, which presents works by the most prominent filmmakers. Andrzej Wajda tells the story of an unwavering pioneer of Polish avant-garde art, Władysław Strzemiński, excellently played by Bogusław Linda. The main hero is a great artist who remains faithful to his own artistic vision, does not succumb to the regime and, as a result, has to face the dramatic consequences of his choices. Afterimage is an intimate record of the last years in the life of this charismatic and outstanding painter. It is a story of how the communist authorities wrecked a proud man. In a subtle and universal manner, Wajda skilfully paints an image of a world in which art and beauty are persecuted. Afterimage stars Bogusław Linda as Władysław Strzemiński. The screenplay was written by Andrzej Mualrczyk, while Paweł Edelman was the film’s cinematographer. It is set in Lódź between 1948 and 1952 and covers the last years in the artist’s life. It will be released in Poland on 3rd March 2017. A great painter and creator of the theory of Unism, acclaimed and respected before the war in Poland and abroad, he was admired by his students, who considered him a master, ‘a messiah of the contemporary visual art’. He was unpopular with other professors and, most importantly, with the academic authorities and the Ministry of Culture. Unlike loyal party members and unlike his colleagues who surrendered to socrealist doctrine, fulfilling the duties of the ruling party, Strzemiński did not make any concessions in his art. He didn't allow politics to interfere with his creative work. He followed his own artistic path, contrary to the ruling party’s guidelines, which required art to describe the historic endeavours of the nation led by the party and to promote socialist ideas of transformations in society and civilisation. The result of Strzemiński’s attitude was persecution. He was finally removed from the academy and expelled from Związek Artystów Plastyków (editor’s translation: Association of Visual Artists). The authorities decide to ruin the artist and consistently followed through with this plan. Another film at the Toronto Festival is titled Blindness, and it recounts a little-known episode from the life of Julia Brystyger, an important member of the security apparatus in Stalinist-era Poland. In the early 1960s she appeared in a institute for visually impaired people in Laski near Warsaw, a place often frequented by the Polish primate Cardinal Stefan Wyszyński. It was Brystyger who supervised his arrest between 1953 and 1956. In the course of a difficult and turbulent conversation with Wyszyński, she rejected communist ideology, asked for forgiveness for her crimes and called for help to find God. The film was written and directed by Ryszard Bugajski, with camerawork supervised by Arkadiusz Tomiak. The leading role is played by Maria Mamona. The film also stars Małgorzata Zajączkowska, Janusz Gajos, and Marek Kalita. The film was produced by RB Film and co-produced by Telewizja Polska (Polish Television), Society for Arts – Chicago, Orka Post Production Studio, Mazovia Warsaw Film Commission, National Centre for Culture, Kino Świat, and TMT Diagnostyka, and co-funded by the Polish Film Institute and the Ministry of Culture and National Heritage. Blindness will be distributed in Poland by Kino Świat and released in Polish cinemas on 14th October 2016. The screening in Toronto will be the film’s world premiere. The Turkish-German-Polish-French production Clair Obscur (aka Tereddüt), directed by Yeşim Ustaoğlu, is a startling psychological drama about an encounter between two Turkish women who belong to two different worlds. Chehnaz is a charismatic and seemingly happily married psychiatrist who works in a small and distant seaside town. Elmas, a very young woman, comes to her in the state of a shock after being forced by her father to marry a distant relative. Chehnaz starts a difficult course of therapy in order to reach out to the girl, who is accused of murdering her husband and despotic mother-in-law but does not remember anything from the tragic night in question. The encounter will change the lives of them both. The film was written and directed by Yeşim Ustaoğlu and edited by Agnieszka Glińska. Its score was composed by Antoni Komasa-Łazarkiewicz, while Eliza Oczkowska and Klaudia Śmieja from Aeroplan Film co-produced the film. Clair Obscur was co-funded by the Polish Film Institute. The Toronto screening will be its world premiere. Mateusz Rakowicz’s film Romantik has been selected for the Short Cuts section of the Toronto Festival. It is a short tragicomic story about not being able to control one’s fate, even if one seems to have reached a state of full happiness. The film’s main character, the 40-something-year-old Stanisław, takes his beloved Zosia on a mysterious romantic journey. He wants to propose to her in the City of Love. He does not suspect that the following night will turn into his worst nightmare and that the meticulously planned journey will be far from what he expected and dreamed about. Romantik stars Robert Więckiewicz as Stanisław and Justyna Wasilewska as Zosia. 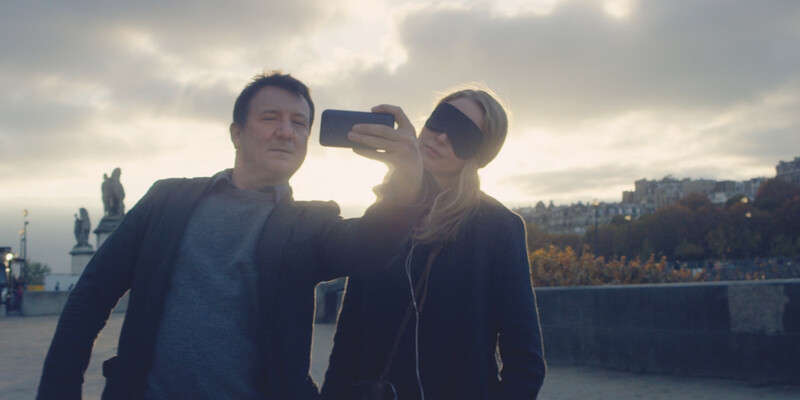 Jakub Czerwiński was responsible for the cinematography, and shot the film in autumn 2015 in Paris. The screening in Toronto will be its first presentation outside Poland. Romantik was made as part of the second edition of the Warsaw-Paris project by the Munk Studio and L.e. G.R.E.C. In Toronto, Mateusz Rakowicz’s film will compete for the Short Cuts Award. Romantik has already won recognition in Poland. It won the Jantar Award for best short film at the 35th Koszalin Debut Film Festival in 2016. The jury appreciated Rakowicz’s gift of narrative, his sense of humour, and the ease with which he tells his stores. The film has also been short-listed for the Short Film Competition at the 41st Gdynia Film Festival. Another film competing in the Short Cuts section in Toronto is Small Fry by Eva Michon. Łukasz Dzięcioł from Opus Film is one of its producers. This US-Canadian-Polish production tells the story of an American teenage girl who wants to re-establish her relationship with her father (Robert Gonera), so comes to visit him in Poland. The 41st Toronto International Film Festival will be held from 8th to 18th September 2016.